"Qigong is the most profound health practice ever invented by mankind for the prevention of illness, reducing stress, managing chronic conditions, increasing longevity, and promoting healthy, active aging." Tom Rogers, President, Qigong Institute. Watch a short 10-minute clip from Qigong: Ancient Chinese Healing for the 21st Century created by Qigong Institute Chairman of the Board Francesco Garripoli. It was the first Qigong documentary to be shown on PBS, starting in 1999. The full documentary can be obtained via the Qigong Institute Store. A fundamental tenet of Energy Medicine is that the human body emits and receives a broad spectrum of electromagnetic and acoustic radiation and that these oscillating energy fields regulate the function of the body's physical and chemical processes. Introduction to the fundamentals of practicing the Art of Qigong. 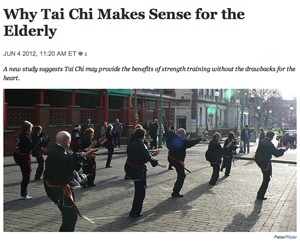 Harvard Medical School's Harvard Health Publications calls Tai Chi "medication in motion". Tai Chi when combined with standard treatment is helpful for a range of conditions including arthritis, low bone density, breast cancer, heart disease, heart failure, hypertension, Parkinson's disease, sleep problems, and stroke. Beginning about 1980, extensive clinical and experimental research on medical applications of Qigong was carried out by scientists in China. Most of these studies were reported only at international conferences, and only a few were published because suitable scientific journals were not available in China. The Qigong and Energy Medicine Database™ contains abstracts collected by the Qigong Institute since 1984. Qigong can improve the quality of life of cancer patients. Find a Teacher. List your Services. Qigong changes the expression of genes related to energy metabolism, insulin secretion and inflammatory pathways, an important step to improved health and fitness. "Integrative Medicine blends the best of conventional and complementary medical approaches, addressing not only physical symptoms, but also psychological, social, environmental & spiritual aspects of health & illness. It believes in stimulating the innate human capacity for healing, empowering patients in their own care, while providing them with choices in healthcare that are proven to be safe and effective." The Center for Integrative Medicine. "The founding of the Qigong Institute was a natural outgrowth of my interest in Qigong. 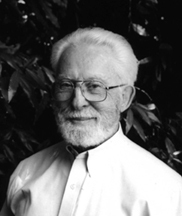 The goal of the Qigong Institute is to promote the scientific understanding of the basis of Qigong" Dr. Ken Sancier (1920 - 2013). "Tai chi is often described as 'meditation in motion,' but it might well be called 'medication in motion.' MORE. Multifaceted physical activities such as tai ji (tai chi), qigong, and yoga involve varying combinations of neuromotor exercise, resistance exercise, and flexibility exercise. Neuromotor exercise training is beneficial as part of a comprehensive exercise program for older persons, especially to improve balance, agility, muscle strength, and reduce the risk of falls. MORE. Stress in the workplace is is the second-most disabling illness for workers, with an annual price tag of more than $300 billion in lost work time, health care costs, and stress reduction. MORE. The practices that are today called 'Qigong' are millennia old, but the term 'Qigong' was coined in the mid-20th Century. 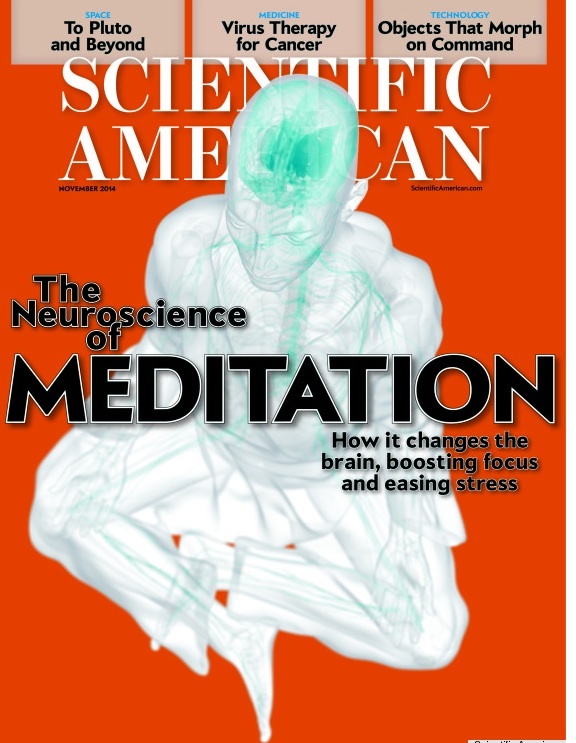 Neuroscience Reveals the Secrets of Meditation’s Benefits. Although Western psychologists have been studying the ancient contemplative practice since the 1970s -- mindfulness pioneer Jon Kabat-Zinn created Mindfulness-Based Stress Reduction in 1979 -- scientific interest in mindfulness has escalated in the past decade. MORE. Qigong is not exercise -- it is dynamic meditation. Doing repetitions is not the focus - it is conscious application of the three intentful corrections - lengthen the spine, deepen the breath, clear the mind or visualize healing. MORE. Qigong and Tai Chi initiate the “relaxation response,” which alters the neurochemistry profile toward accelerated inner healing and enhancing the efficiency of the immune system. "Qigong Exercise Reduces Stress and Anxiety in Healthy Adults"
Managing stress and anxiety through qigong exercise in healthy adults: a systematic review and meta-analysis of randomized controlled trials. 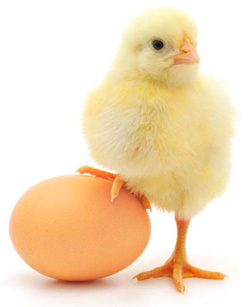 Which Comes First: Bioenergy or Biochemistry? Meditative movement for depression and anxiety. Review of electromagnetic techniques for breast cancer detection. Possible Mechanisms Underlying the Therapeutic Effects of Transcranial Magnetic Stimulation. 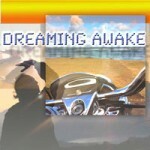 A collection of Qigong guided meditations and concepts. Reconnecting the healing arts with physical rehabilitation. Become a certified Qigong and Tai Chi Teacher. Qigong in Daoist philosophical and and religious practice. Worksite, community, and individual wellness. SImon Blow Qigong, Wild Goose Qigong. Qigong Wellness and Healing Trips, Prana Meets Yoga. Qigong with Jessica Kolbe is now airing on TVSB. Feel, move, and cultivate Qi. Heal from stress and injury. Training thousands to improve the lives of millions - Tai Chi Easy. Abode of the Eternal Tao, Empty Vessel Magazine, China Trips. Educating the public about the health and life-enhancing benefits of Qigong. This is a short clip from Qigong: Ancient Chinese Healing for the 21st Century, created by Qigong Institute Chairman of the Board Francesco Garripoli. It was the first Qigong documentary to be shown on PBS, starting in 1999. The full documentary is on Garripoli's Qigong beginning practice DVD which can be obtained via the Qigong Institute Store. The Qigong Institute is a California 501(c)(3) non-profit, 100% all-volunteer organization.